PRESIDENT Emmerson Mnangagwa has reportedly sent emissaries to opposition MDC Alliance, seeking a “pre-election understanding” ahead of make-or-break polls later this month, presidential candidate Nelson Chamisa has sensationally claimed. The 40-year-old opposition leader seen as posing the greatest threat to Zanu PF’s near four-decade-long stranglehold on power said he believed that Mnangagwa, who came to power following a military intervention that facilitated former President Robert Mugabe’s departure last November, “is safer” under an opposition administration than his own. 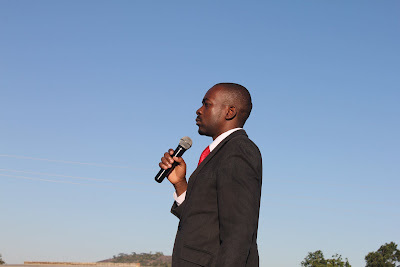 Chamisa’s spokesperson Nkululeko Sibanda told NewsDay yesterday that Mnangagwa had sent emissaries to “create an understanding” fearing an electoral loss. Sibanda was responding to reports that Chamisa was in the process of negotiations for a possible audacious post-election arrangement that could bring former First Lady Grace Mugabe back as Vice-President eight months after her husband was forced out by a combination of a military intervention and a nationwide outpouring of resentment. “The thing is Mnangagwa and his junta government wants to use State media to create a narrative that will alienate us from the electorate. They want us to lash out at some people or political groups, but that would be ludicrous for Chamisa or any other politician to do three weeks before an election. “We are canvassing for every vote, including Mnangagwa’s. Mnangagwa is safer under a Chamisa government than his own. I can tell you now that we have received his emissaries keen to come up with what they are calling a ‘pre-election understanding’ because they can see the game is up,” Sibanda said. “Mnangagwa and his people want to alienate Chamisa from everyone else and then talk to him about their future. Chamisa is busy with campaigns and has no time for negotiating with anyone. But he will welcome every vote,” Chamisa’s spin doctor added, denying reports that the MDC-T leader was also making last-minute engagements with the Mugabe-linked National Patriotic Front. Contacted for comment, Zanu PF deputy secretary for legal affairs, Munyaradzi Paul Mangwana dismissed Chamisa’s claims as “dreams of little boys”. “The youths are allowed to dream, but not on important national issues. This is not child’s play, but we are talking of a critical national process. President Mnangagwa has the support of the masses and we do not call for an election to enter into negotiations with people.